May we thank you on the air? *: Yes, please thank me by name on the air. Thanks, but I'll pass, not ok to thank me on the air. 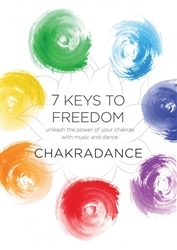 Chakradance class in your own home with founding teacher Natalie Southgate. and lead us to a richer, more vibrant experience of life. Copyright © WBAI radio. All Rights Reserved.